23 years working for engineered equipment suppliers to the global Oil & Gas & Petrochemical industry. 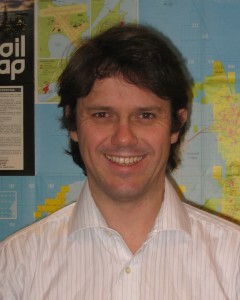 2007 – to date Business Manager, Argo Flare Services Ltd. Responsible for sales, customer development, territory management, commercial negotiations. 2007 Director combustion equipment – Sterling Thermal Technology. Responsible for the management of combustion equipment product lines, including fired equipment, refractory and spares and service. 2001 – 2006 Business Development manager – PCC Sterling Ltd. Responsible for sales and marketing for thermal oxidisers, and fired heaters throughout Europe , North Africa and Middle East. 1996 – 2001 Process Engineer / Key Account Manager – Norton Chemical Process Products. Responsible for the process design, specification and sales of mass transfer equipment for distillation and absorption units throughout Europe.